Taxon: Amblystegium serpens (Hedw.) Schimp. Collector: J. M. Holzinger s.n. 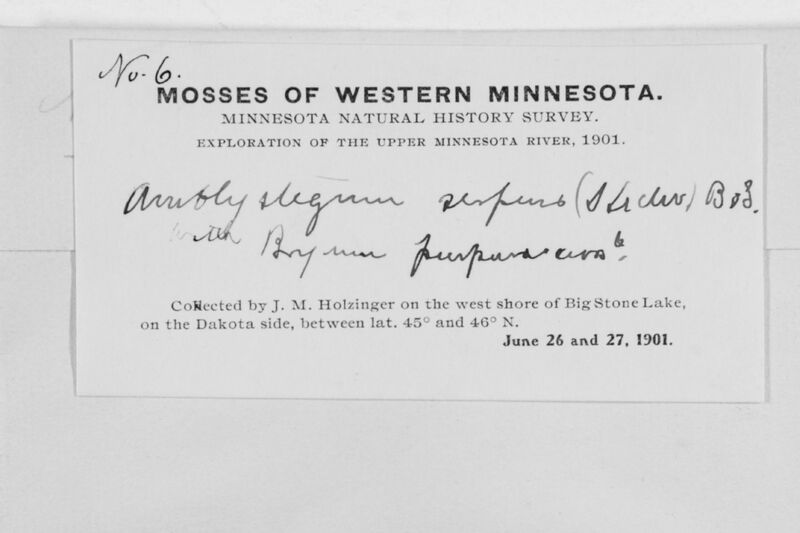 Notes: EXPLORATION OF THE UPPER MINNESOTA RIVER, 1901.